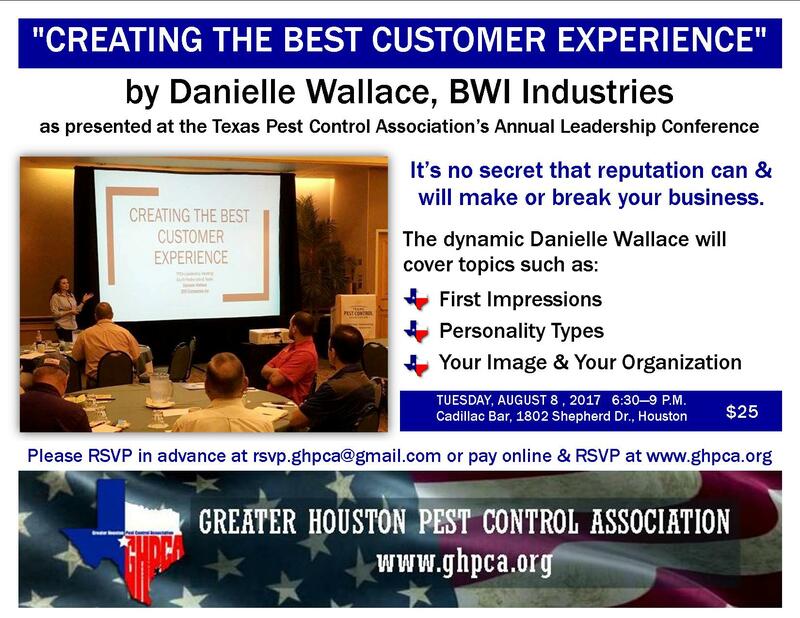 We are excited to have Danielle Wallace with BWI Industries as our guest speaker for the August 8 meeting. In case you were wondering, Dr. Vargo was originally scheduled for our August meeting, but he needed to reschedule. We’ll have him back at a later date. 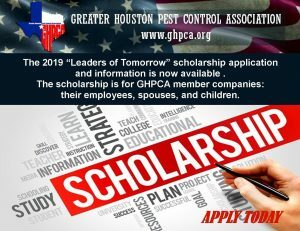 In the mean time, the GHPCA’s own Danielle Wallace, with BWI Industries, has graciously agreed to step in and share her presentation from the Texas Pest Control Association’s annual leadership conference. You can RSVP by emailing rsvp.ghpca@gmail.com or RSVP and pay the $25 online at www.ghpca.org.